Children in our Ones classroom are exposed to a variety of nursery rhymes, finger plays, songs and stories to help develop and expand on their growing vocabulary. They work on a variety of early concepts, such as numbers, colors, opposites, shapes, animal names and sounds and identifying body parts. The teachers introduce basic Bible stories and simple Bible concepts such as “God made me” and “God loves me.” The Ones explore with a wide variety of art supplies and spend lots of time on our playground developing their gross motor skills. We have a very fun and exciting day with the Ones! Tonya lives in Powdersville, and has worked in Greenville-area preschools for over 15 years. 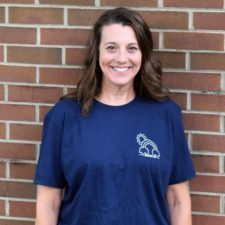 Along with Rhett, her husband of 28 years, she has a daughter Casey who is a graduate of Anderson University and a son Carlisle who is in welding school. She also has 2 dogs, Mollie the Pug and Ellie the blue tick hound. This is Tonya’s 6th year at Aldersgate CDC. 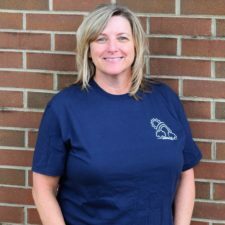 While this is Kim’s 3rd year at Aldersgate, she has worked a total of 8 years in preschools. She has a degree in Psychology from Winthrop University. Kim has been married for 25 years and has 2 daughters. Kaylee is a junior at the College of Charleston and Leah is a sophomore at Eastside High School. Kim has a 5 year old lab named Ruger and a 5 year old bunny named Rosie. 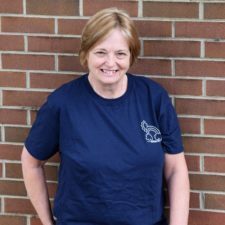 Bobbie started at Aldersgate in 2005 and has worked in the K3, K4 and K5 classes. This year she splits her time between the Ones & Twos classes. She and he husband Glenn have one daughter Stephanie and a son-in-law Brandon. They have been blessed with two grandchildren. Anna is in our K5 class, and Noah is in our Twos class. Bobbie enjoys reading and Sunday dinner with her family.